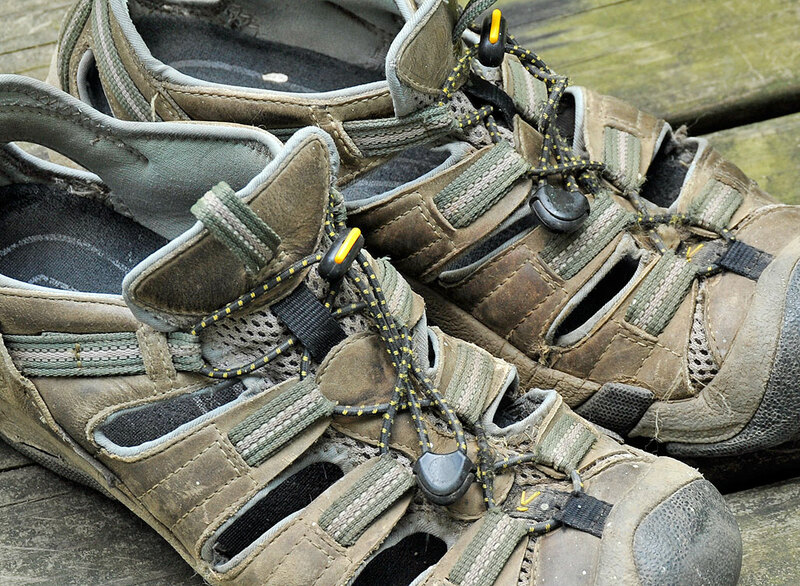 We first reviewed the Keen Taos in June of 2005. Keen had just launched its radically new trail shoe which combined the best features of a sandal and a light-hiker. After a few outings, we reported back with our FirstUse experiences. A year later we posted our InTheWild update. The Taos earned high marks for comfort, support, and ease of maintenance. After three reviews, we were happy to leave it at that. However, after putting up with six years of punishment, we felt these Keen Taos deserved one more mention. We have worn these Keens Taos everywhere. As expected, the soles and the insoledefinitely show their age. What was impressive was the laces, uppers, and stitchings all lasted exceptionally well. We would not have expected synthetics to have been this durable. They were excellent for travelling because they were comfortable, light weight, and slipped on/off quickly at the airport. We have found them to be far superior to sneakers and Tevas. They were better then sneakers because they offered the same cushioning and support with better air flow. 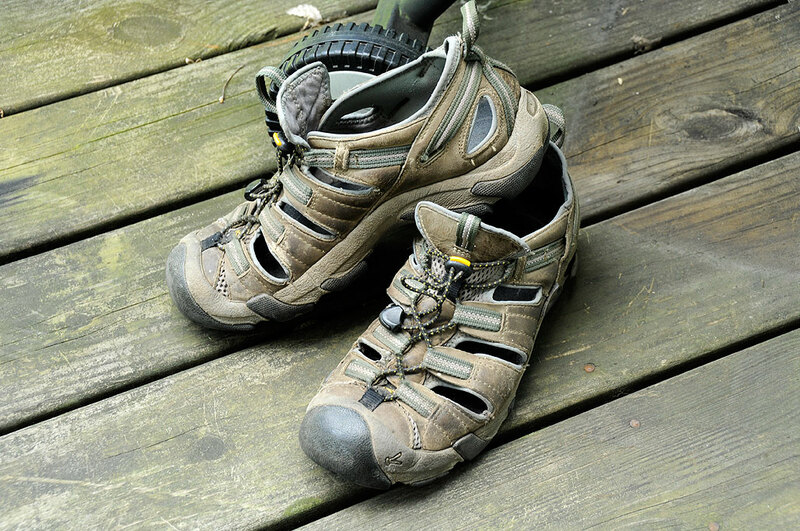 We liked them more than Tevas because they had much better toe protection, especially when hiking or biking. For reasons which we never understood, Teva and other synthetic sandles REALLY stank after a while. In contrast, we never had an odor problem with the Keens, even after we’ve gotten them wet or worn them without socks. After six years, these Keens have paid their dues. We will retire them after this Summer. They will wind down their remaining days as footwear for working in the RainyDayGarden. Now that we have finally managed to wear out the pair of Keens, any suggestions as to what outdoor footwear we should next put to the test?